As technology evolves, so does Omnetics. A full line of military specification 83513 Micro-D connectors and specification 32139 Nano-D connectors deliver higher speed signals and are matching voltage and current levels used in today’s most modern electronics. For example, Light Detection and Ranging (LIDAR)-based surveillance and weapon sight systems demand reduced size and increased ruggedness while processing higher speed digital signals than previously imagined. Omnetics fills that role with specialized Micro and Nano connectors tailored to fit the needs of military weapon designers. Often times, high reliability standard products are first considered because of their proven history, but then are physically modified to fit within the defense instrument needed. Using solid model designs, the system engineer gets a perfect fit quickly with limited variations from standard product prices. One must remember that the key elements built within these connectors already offer a tried and proven history of reliability and performance. Using proven military grade pin to socket systems inside the new connector modules expedites the testing and qualification to the rugged requirements set forth by the military. Ground troop helmets are rapidly becoming a data collection center in the battlefield. 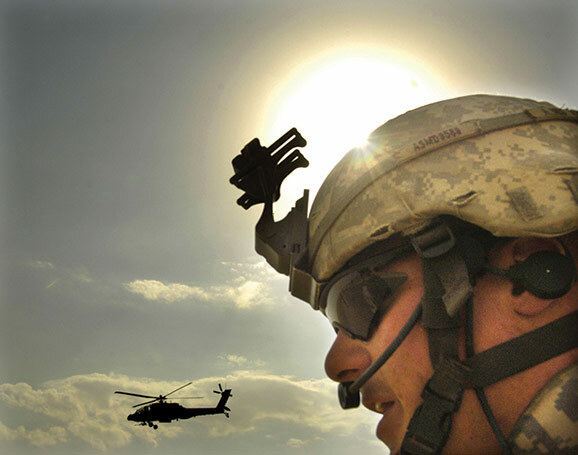 Helmet vision systems offer GPS position and routing, direct verbal communications, and image collection. Higher speed digital systems are most often being used to manage the data routed on Omnetics high speed Micro cables. To help meet these challenges, Omnetics maintains a “High Speed Interconnect Specialist” for direct phone calls and support to answer generic questions and work interactively with customers. Helmet and/or clothing-mounted cameras also need to be small, lightweight, and rugged. 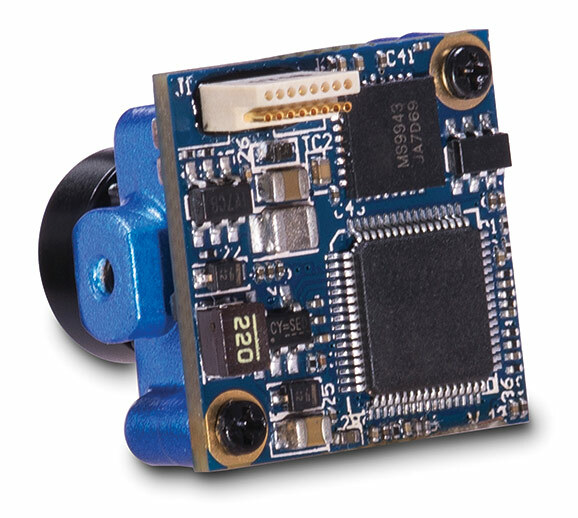 See the image below of a miniature camera module with a 16 position Nano connector mounted on its processing board. Data can be routed from the camera to other equipment and power can be constantly supplied to run the camera. Cables are often custom designed to match each system and operate with rugged flexibility within the field gear worn by the troops. Digital signal rates from newer high speed CMOS chip cameras often use differential signal technology that runs up to 10 gigabits per second. Newer field cameras and LIDAR systems can also offer multi frequency surveillance from visual range to wave infrared (MWIR) and longer wave infrared (LWIR) imaging. There are larger systems for battlefield analysis that face the same challenges during transportation and set-up as cameras worn by the soldier. In all cases, cables and connectors are most often designed specifically for high speed data processing and contain separate sections to provide the power to the camera. During final cable assembly, an aluminum wrapping offers shielding from section to section within the cable to prevent outside electromagnetic interference and ensure cyber protection. The aluminum wrapping also maintains flexibility when wrapped over the cable before a polyethylene over-jacket that ensure ruggedness. In more extreme conditions, a braided shield is added to the cable, which unfortunately causes some cable flexibility loss and weight increases. 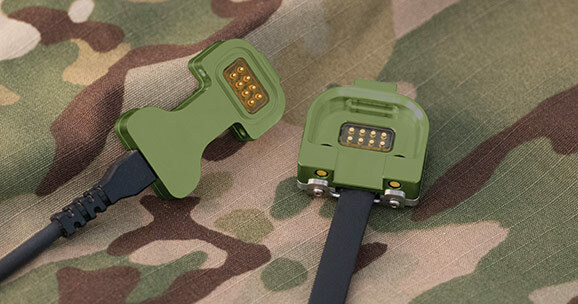 Omnetics has designed a new dis-mounted soldier personal interconnect system named the “COBRA.” It focuses on the power and signal routing of electronics integrated into the soldier’s clothing. It is aimed at meeting the NATO Army Armament Group (NAAG) specifications that are focused on Dis-Mounted Warrior programs. The key to the design is the ability of the connector to slide through the standard MOLLE straps of a soldier’s vest. The COBRA interconnect system can be attached to a standard MOLLE Strap or integrated directly to the fabric. The 8 contacts can handle 5 amps each on 24 AWG wire and are IP69 sealed in mated state. The current NATO specification calls for USB 2.0, but fluid demands may require additional protocol support such as VGA, Ethernet, camera links, 5 Gigabit digital signal routing, and others. The low profile COBRA connectors use plunger contacts for easy cleaning on the battlefield. Omnetics is a key source for rapid design and prototyping of interconnect systems and can offer rapid adjustments to fit specialty program requirements in both connector and cable routing needs. Omnetics has worked directly with and supplied a number of military teams in the U.S and throughout the world. Miniaturized microwave systems connect field personnel with airborne and central command centers. Omnetics Nano Coax connectors and cabling fit well into miniature RF modules. With a focus on minimum size and weight, these interconnects serve well into the 20 Gigahertz range. 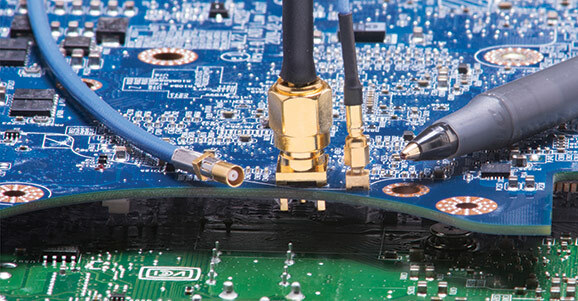 Micro Coax connectors from other retailers often use button snap-connections that offer lower frequency performance and are vulnerable to shock and vibration. Omnetics Nano Coax connectors are designed similarly to larger screw-lock coax to ensure constant strong attachments and constant signal integrity during shock and vibrations at ¼ the size. These connector innovations have propelled Omnetics to a state of readiness and capability to provide adaptive connector and cable design services. We provide direct communication with sales representatives and inside sales teams as needed. Omnetics features its military standard products in addition to solid modeling for application-specific needs. 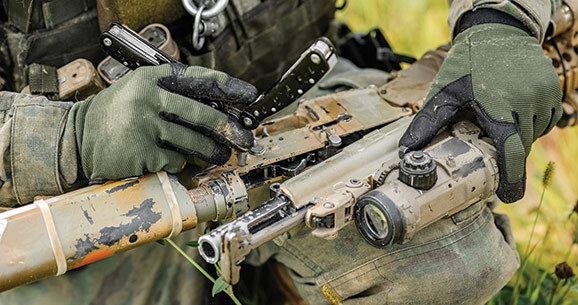 We also feature our High Speed Interconnection Specialist aimed at Micro and Miniature connector and cables for the Dismounted Warrior.